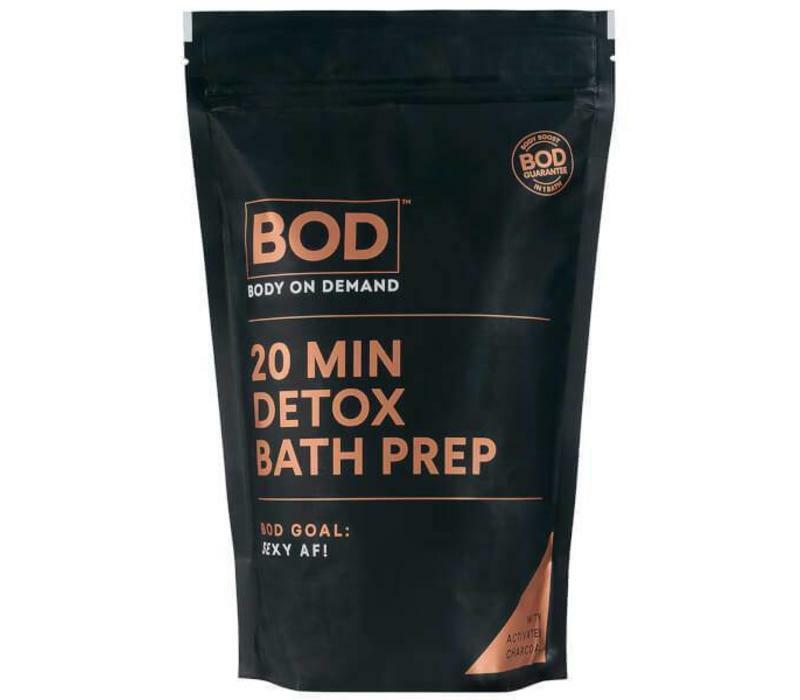 BOD Body on Demand 20 min Charcoal Bath Salts and Detox is bath salt that gives your skin a real boost! Have gone out for a night or just want to pamper yourself, this bath salt performs miracles. It does not matter what reason you think of, but this bath salt provides a wonderful fresh feeling and a nice complexion of your skin. This boost consists of a great mix of different salt crystals, plant extracts and charcoal which, once dissolved in the water, work together with your body. The bath salt has a purifying effect and extracts excess water from the upper skin layer. Not everyone will experience it in the same way, but 20 minutes in a bath with the Charcoal Bath Salts and Detox removes about 1,3 liters of excess moisture from your body. The secret? The temperature of the bath. The water should be about 37 - 39 degrees, so you can be sure that the bath salt works optimally! Gives your skin a real boost. Fresh feeling and a nice complexion. Removes excess water from your upper skin layer. Make sure that the temperature of the bath water is between 37 and 39 degrees Celsius. Add the entire content of bath salt into the water. Make sure that the salt crystals are all dissolved before you step into the bath. Pay attention! If the salt is not completely dissolved in the water, you may experience a prickling sensation on your skin. Now you can relax in the bath for 20 minutes and enjoy your boost! Tip! : For best results, prepare your skin first with one of Body on Demand's great scrubs. Once you have bath you can pamper your skin even more with the incredibly stimulating sorbets from Body on Demand! Pay attention! : Do not use this product in a cast iron, enamel or porous bathtub as this product could leave stains. Always ensure that the bath is clean, so that the active ingredients can not stick on anything. It is best to clean the bath as soon as it is emptied out. Still your doubts and do you prefer to play safe? 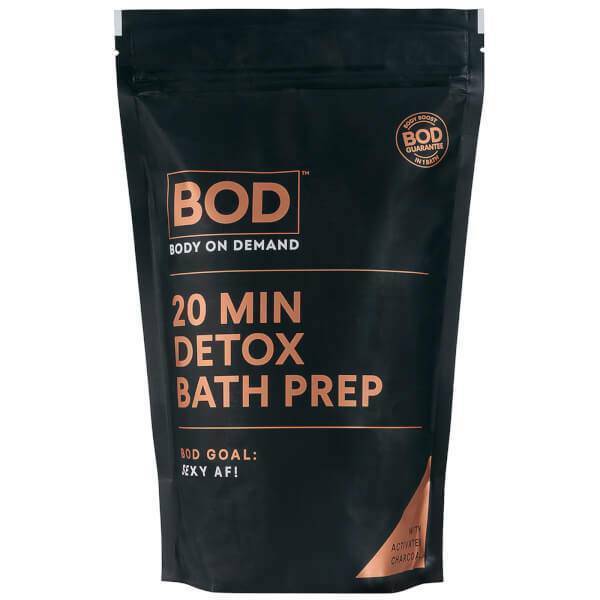 Then BOD Body on Demand 20 min Body Boost Bath Salts is the best alternative for you! Sodium Chloride, Magnesium, Sulphate, Glycerin, Synthetic Fluorphlogopite, Activated Charcoal, Titanium Dioxide (CI 77891), Tin Oxide.